What can you do there? 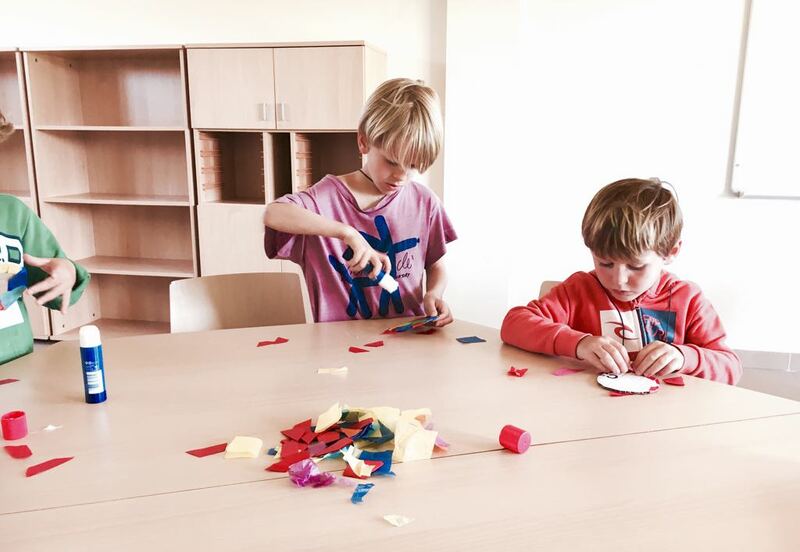 Mas Llop offers residential stays of 2 to 5 days to children in Infant, Primary and Secondary 1 and 2 with full board and varied activities supervised by qualified monitors. We offer facilities and outdoor activities as the main objective to present an educational, leisure and sports facility in a natural setting. All the proposed activities can be done in English, Catalan or Spanish. Olympic Games: Using the Olympic Games as the theme, all sorts of games are carried out; educational, inspirational, sports activities etc. Story: The Enormous Turnip: We will use personal experience to work through the story, complimenting the events with visual support and we will play games related to and learn the value of charity and effort. The Story of the Elf and the Rainbow: Throughout the story we will combine various activities, both educational and game orientated, to explore the basic values of friendship, team work and honesty. We will use our imagination and through audiovisual material, we will get to know the magical world of the rainbow. 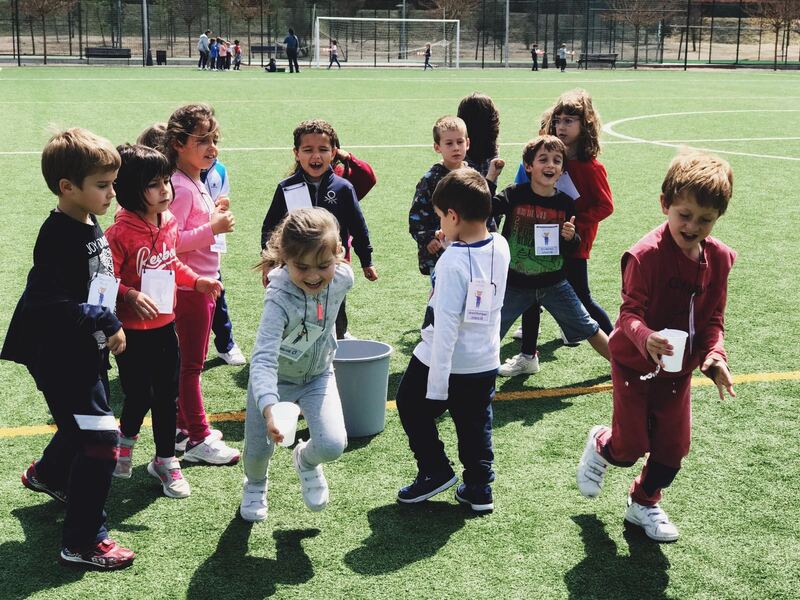 Olympic Games: Using the Olympic Games as the theme, all sorts of games are carried out; educational, inspirational, sports activities to suit the age group. We will concentrate on effort and also the importance of cooperation. 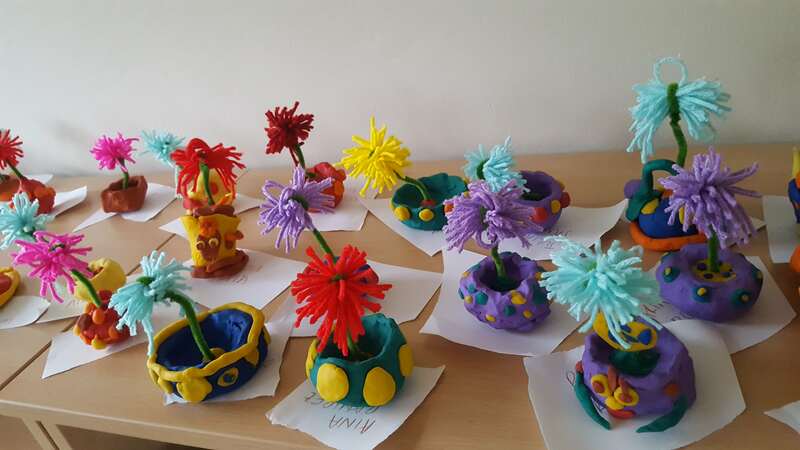 The Story of Jack and the Beanstalk: Using the story and various games, theatrical presentations, songs and craft work, we will work on English oral expression and comprehension. We will also learn the values of effort and honesty. 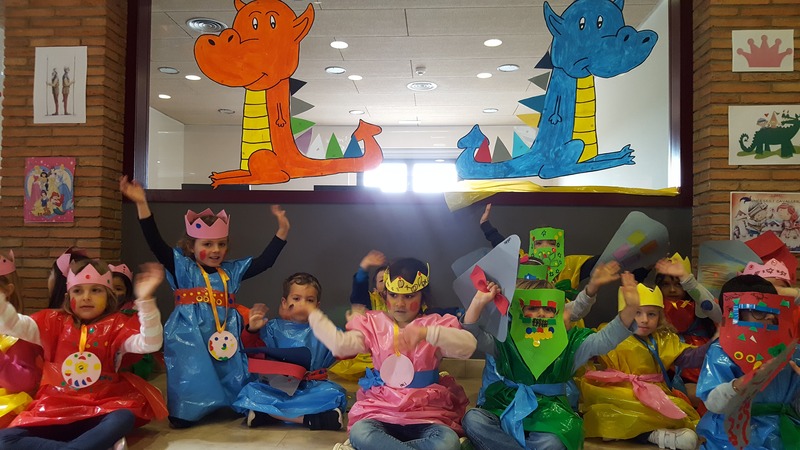 Knights and Princesses: Using famous legends we will be carried away to the land of knights and princesses in order to enjoy and experience great adventures. The Circus: We will enter into the magical world of clowns, magicians, jugglers, mimics, tight rope walkers, and dancers. We will be working on different aspects of fine and large motor skills, body coordination and the different abilities and basic aptitudes which will turn us into authentic circus characters. Olympic Games: We will have fun through sports introducing and playing different individual and team sports. The Story of The Gingerbread Man: Through fantasy and story we will be working on oral English. Games, crafts, songs and theatre will help us to live through the story and understand the values transmitted. 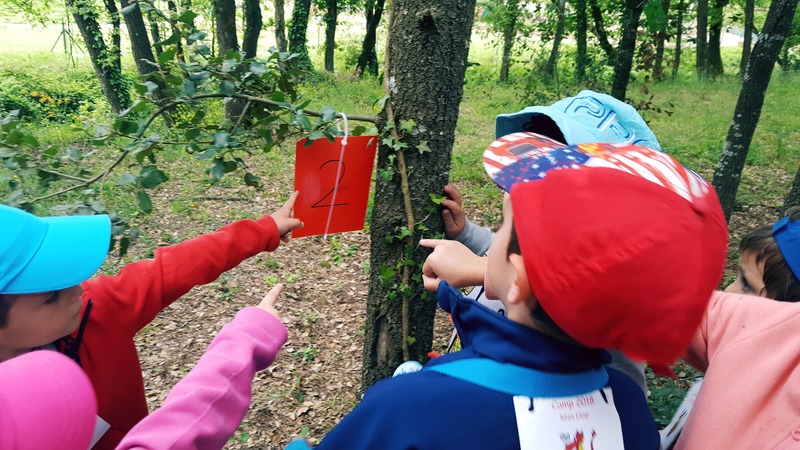 Nature: We will understand nature in the Mediterranean Forest observing, experimenting and collecting samples whilst using English. Adventure Sports: Wolfy and the Kingdom of Smells: We will set up some camps where adventure sports are the principal theme. The participants will do sports such as archery, electric quad circuits, field games and rock climbing. 1, 2, 3, 4 Earth! We will bring the pupils closer to nature and its elements (fire, air, water and earth) where the values of living together and respect for our surroundings will be essential. We will have to bring our own ideas and help the character we are representing: Mother Nature. Olympic Games: This is an educational, sports and outdoor games programme. Different activities will be offered where both team and individual sport practice is combined with games. The World of Comics: We will get to know different characters represented in comic strips and have many adventures with them as well as enjoying sports, games, theatre and musicals. Nature: We will work on different aspects and components of the Mediterranean forest through guided walks and games related to the surroundings. Adventure Sports : The Adventures of Wolfy Jones. Mas Llop offers its own archery, electric quads, field games and rock climbing facilities, and from these activities we will work on friendship and effort. Choose your own adventure: The boys and girls will make up their own story using an App and a tablet. They can choose the title, the text, the characters and their personality and when they have learned these actions they can then try different talents and skills. Inside Out: This camp is based on emotional intelligence using the characters from the film “Inside Out” by Pixar. The activities will feature basic emotions such as: happiness, sadness, fear, disgust, anger and surprise. We are an orchestra! By imagining we are members of an orchestra we will form a band and at the same time participate in different activities and adventure sports. 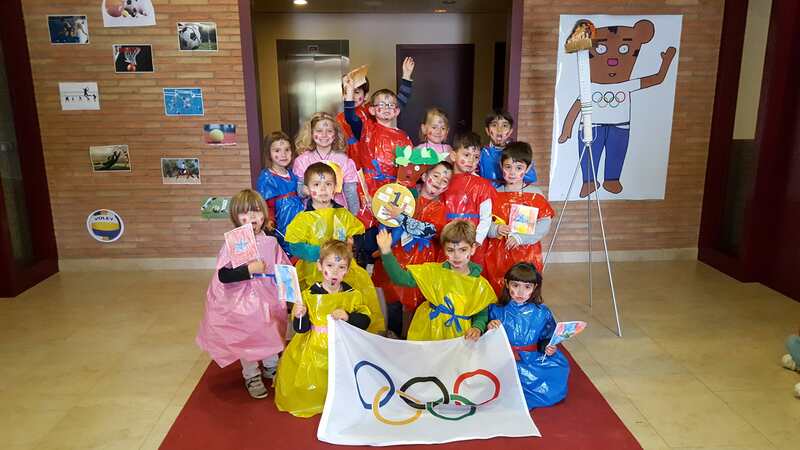 Olympic Games: We offer a camp stay where the centre of interest is the Olympic Games, where we will play and enjoy different sports (football, basketball, tennis, padel, volleyball, table tennis, swimming, water polo and athletics). Let’s write own Newspaper! : We will work on the values of compromise and responsibility to create our own newspaper. We will combine games, sports and theatre in order to produce an incredible newspaper! The Creation of our Town: The idea is to be able to create a town with: its own name, services, various economic sectors and production etc. through games, tests, tasks, plans and group decision. The participants will have to choose specific elements which characterize and adapt their town for it to become habitable, safe and with the maximum number of facilities and commodities. Adventure Sports: The search for the Lost Ark. 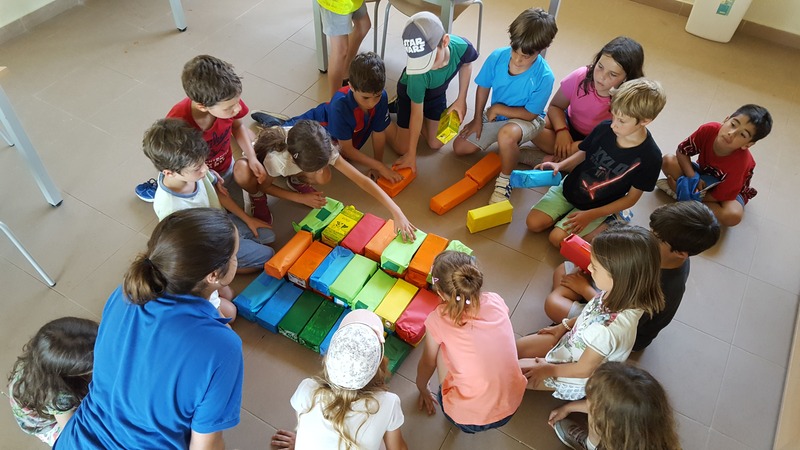 Mas Llop offers activities such as archery, electric quads, field games and rock climbing facilities, and from these activities we will work on strategy games and group cooperation. Cinema: We will experience filmmaking first hand by creating, editing, and publishing a film. We will use creativity or imagination to write a script and we will try to empathise with various characters to film scenes of different cinematographic genres. We will also acquire the basic notion of the different concepts and aspects so that our film will be an unforgettable experience, team work is assured. 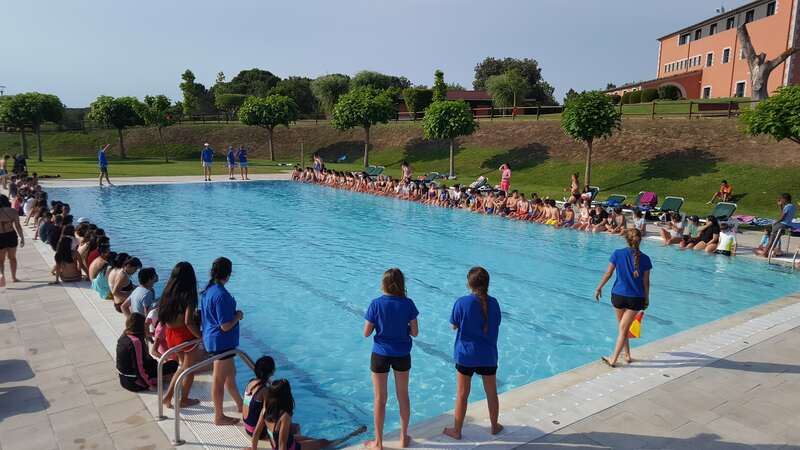 Olympic Games: We offer a camp stay with 3 parts, multi sports (football, basketball, tennis, padel, table tennis, swimming, waterpolo and athletics), team work and values acquired through the Olympic games. Setting up a business: In small groups we will create our own business. We will use different techniques in order to work together on an entrepreneurship project, whilst at the same time applying the values of compromise and honesty. Photography: We offer a series of situations which recquire the development of different techniques using photography as an enjoyable learning process. Adventure Sports: We can hone our abilities by overcoming obstacles, using balance to cross bridges and having the courage to throw ourselves from the zip line whilst enjoying outdoor activities such as walking, kayaks and quads. 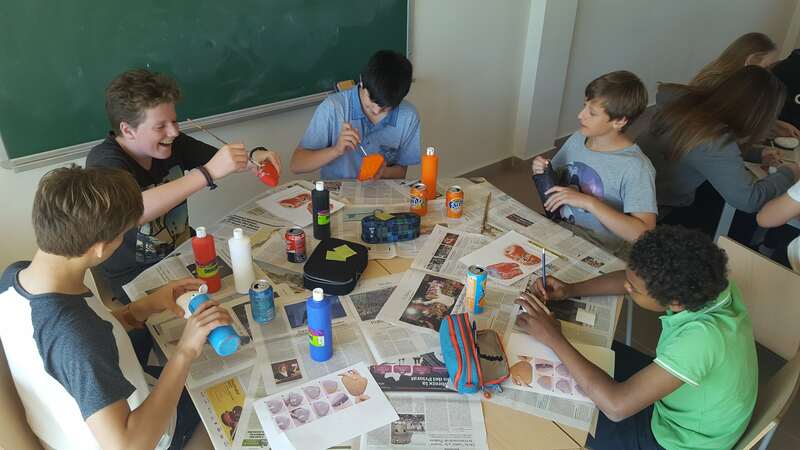 Technology, Robotics, Programming: We offer different technological, robotic and programming challenges along with computational thinking. We use resources such as : Little Bits, Lego Mindstorm, Lego WeDo, Scratch etc. to encourage strategic thinking, team work and to foster creativity. Our menus are prepared by a specialist and supervised by a dietician. They are prepared in our own kitchens which allows us to adapt to any specific dietary requirements.